I was recently going through some presentations from RAADfest, a symposium put together by a few groups with the unified goal of reversing aging and age-related decline, and this quote jumped out at me. It jumped out at me because there’s a common fallacy known as the naturalistic fallacy where there’s an assumption that things ought to be as they are in nature. In the past, I’ve fallen in to this trap a few times. Don’t get me wrong, I feel that we should take many cues from nature. I think medicine should be based heavily off evolution by natural selection. I believe that the lifestyle approach to improving chronic disease risk is far and away better than the pharmaceutical approach. I think approaching heart disease by lowering cholesterol is ridiculous and ineffective and our pharmaceutical research slants science towards solutions that are profitable and not necessarily ideal to the end-user. But, I don’t believe that just because something is natural that it’s safe or ideal. I also don’t have the typical “pharmaceuticals are bad” attitude that many people caught up in the Paleo/root causes crowd have. Medicine is great…when used properly. Using an herb or supplement to treat a condition isn’t fundamentally different than using a pharmaceutical drug. Your ancestors may have been exposed to Ashwaghanda, but they weren’t taking it every day in large bolus-sized doses for months on end because they were stressed about their bills. All that aside, there’s another fallacy that people in this crowd seem to be guilty of, particularly as it pertains to circadian rhythms. 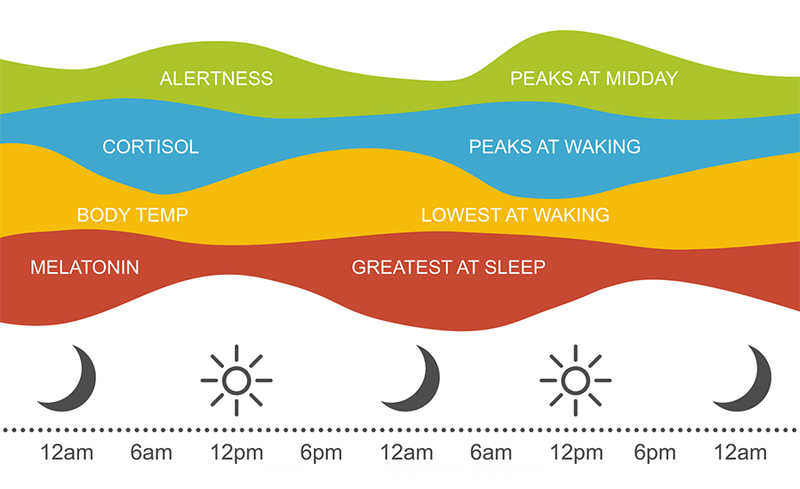 When I published my most recent blogs on circadian rhythms, quite a few people inquired about whether or not it’s true that there are multiple circadian phenotypes, called chronotypes. In other words, aren’t some people just genetically night owls? There is certainly some truth to this statement so I always answered in the affirmative, not realizing that people may have been looking for an out, so to speak. After discussing this with people in-person, I believe I may have misunderstood the context of this question. So to be very clear, I’m going to answer it right now. Yes, there are a number of genetic polymorphisms in clock genes that make people “night owls”. Just like there are genetic polymorphisms that make people eat too much food. But just because you have a genetic tendency towards a trait doesn’t mean that it’s a health-promoting trait. When we talk about different chronotypes, what we’re referring to is a person’s preference for their sleep/wake cycle. People are under the erroneous impression that being a “night owl” in regards to chronotype means they just prefer to stay up later and sleep in earlier than other people and this is ideal for them. That’s not what it means at all. When we look at the chronotypes, one of the differences we see between night owls and larks/early birds is that the early bird tends to have a free-running circadian clock that runs closer to 24 hours. Similar to how long our day is. That’s not so for night owls. Night owls typically run longer. Not much longer, usually 30 minutes to an hour. But that’s actually a pretty big difference, causing them to stay up more than an hour later than those of us who run on time. But in order to understand this, I have to tell you what free-running means. When we talk about your free-running clock, what we’re referring to is how long your circadian clocks would run in the absence of any sort of environmental cue. In other words, if I locked you in a room with no light and unlimited access to food, at a constant temperature, with no way to identify what time it is, whatsoever. As mentioned above, this means that some people have a free running clock that’s dead on 24 hours and others may be off by 30 minutes or so. But think about that. An early bird tends to wake up at around the same time every day and would pretty much stay in time with the day/night cycle in this sensory deprivation chamber. The night owl, on the other hand, wouldn’t be so lucky. The night owl will extend their day by a half hour every day. This means that on the 24th day, they’ll effectively be awake in the objective night and asleep during the objective day. We probably shouldn’t be living in free running conditions, yet most of us are to some extent…at least in the developed world. This isn’t what we see in night owls. Night owls don’t end up losing a day every 48 days because the environment helps set their clocks. 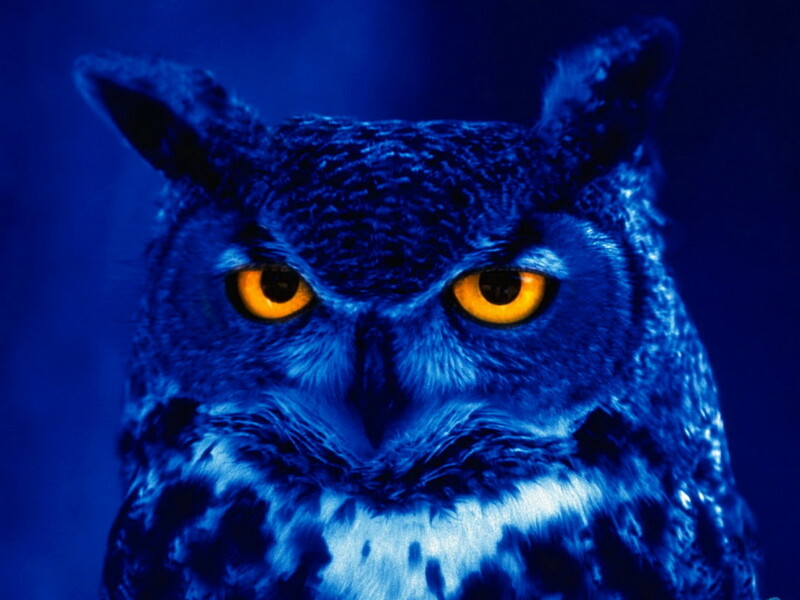 This is where the night owl fallacy begins to fall apart. Even if you’re a night owl, your environmental exposures are setting your clocks just as much as your inherent rhythm is. Under constant environmental conditions, most people are going to sync up to the environment, even if you’re an early bird or night owl. But which environmental conditions are we talking about?? They’re called zeitgebers, or time-givers. Through heavy research in this area, we know the 2 primary zeitgebers that set the clocks are light and the feeding/fasting cycle. We even know a few other factors that can help as well, but I’m all about simplicity. Getting people to change one bad habit is pretty tough. I’m kinda pushing it with 2. While we don’t live in free running conditions, those of us in the modern world aren’t exactly living in nature either. Some of us have to be alert for night shift jobs. Almost all of us are chronically exposed to artificial light after the Sun goes down. Most everybody probably eats too late. This isn’t necessarily a bad thing…at least for some of us. If your free running clock runs on a 24 hour schedule, it’s likely that this artificial light at night isn’t going to have a tremendous impact on your sleep/wake cycle. Provided you’re paying attention to at least some of the zeitgebers. It doesn’t mean you won’t need an alarm clock, you’re inhibiting melatonin production to some extent so your sleep won’t be great. But at least you’ll wake up early and your energy levels will tend to peak in the middle of the day. The situation is a little bleaker for our night owls. By running on a longer clock, these people are more prone to circadian disruption. In other words, they aren’t inherently in tune with the day/night cycle, so being exposed to light and food at odd hours could have a bigger impact on their physiology. Another major problem is that they’ll tend to be more sluggish midday and not see peak energy levels until late afternoon. Not great for productivity. This is where believing you should embrace being a night owl can be problematic. Because you shouldn’t…at least not necessarily. It’s important to note that having a gene that causes you to prefer a later bedtime doesn’t mean that melatonin functions any differently in you than it does in another human. Once the Sun goes down and daylight is gone you’re going to start producing melatonin, and that’s going to make you sleepy. Likewise, the Sun is still going to wake you up when it rises provided you’re not hiding from it behind blackout curtains. There are also metabolic implications to the issue. Melatonin inhibits insulin secretion during the night and the cortisol awakening response is affected by morning light. Cortisol and insulin both have a powerful effect on our metabolism. Both are also important for communication between the master and peripheral clocks. It seems to make so much sense that there would be multiple chronotypes related to human circadian rhythms. The problem is, these would never have the chance to be selected for in the individual. Circadian disruption doesn’t seem to impact short-term survival and it doesn’t cause major issues in young people; the issues are mostly with people in their 30s and 40s. Your ancestors reproduced at a young enough age that polymorphisms that phase shift sleep time preference would not have been something that would have been selected for. Evolution has little need for you once you reproduce, so the fact that your obese, can’t sleep, and get cardiovascular disease 30 years later is inconsequential. Finally and probably most importantly, your ancestors were rarely, if ever, exposed to the environmental conditions that would simulate free-running conditions. They may have stayed up later, but they weren’t watching TV at midnight, surfing their Ipad with all the lights on while housing a pizza. Well, maybe the generation prior to you, but that’s it. Again, nowhere hear enough time for evolution to select for a beneficial trait. So what’s a night owl to do? Don’t get me wrong, there are probably people who do much better with a later bedtime and awakening time. This schedule seems to be best for teens. But I wouldn’t assume that just because you like to stay up later that this is what’s best for your body. A recent study found that night owls have less white matter in their brain than early risers or people in the middle. White matter facilitates the communication between neurons in the brain, so this is a less than ideal scenario. Another study found that people who stayed up later were more prone to Type 2 diabetes and sarcopenia, or muscle loss. Furthermore, the difference was there even when they had the same amount of sleep as early birds. This is likely due to sleep time preference driving changes in physiology. 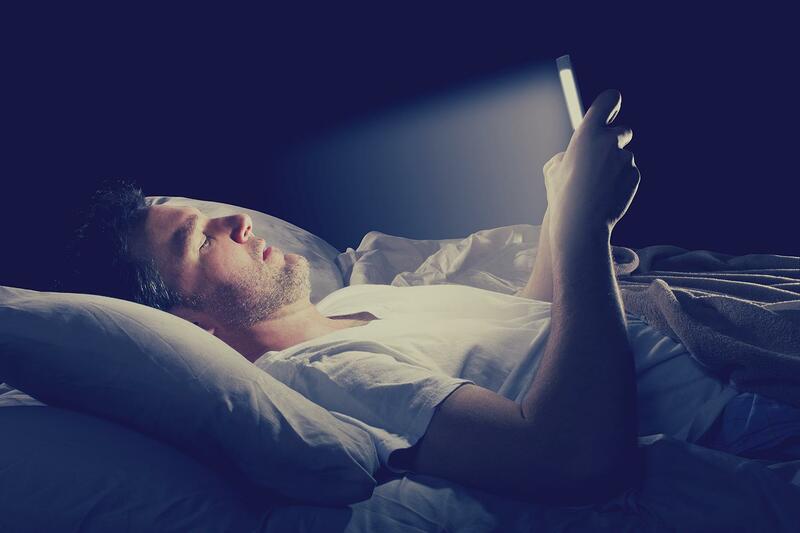 Again, preferring a later bedtime doesn’t change the way your body uses melatonin, insulin, cortisol, and all the other important factors regulated by the circadian clock. But it’s not all doom and gloom. The solution to this problem is relatively simple. Get yourself out of free-running conditions. When you wake up, go outside. At night, block blue light. Set your feeding and physical activity times to take advantage of your circadian rhythms. Look at your lifestyle, your job, and things you like to do for fun and develop a schedule that allows you to live your life AND live in a way to take advantage of your circadian rhythms. If, after doing all this, you still feel better staying up late and sleeping in, maybe you should embrace your inner night owl. Making the assumption that your genetic preference is ideal is a bad idea. Just ask those with the genetic preference to eat too much food. Need help syncing your clocks? I’ve developed a program to get this all set up called the Circadian Retraining Program. The program has over 4 hours of powerpoint videos teaching you how to schedule your day in a way to optimize sleep, recovery, and overall health. Cost for the program is $127 and includes access to a private facebook group to help set your schedule and update you on new science as a it develops. Use the email form to request more information. What are you waiting for?